Operating from the Victoria, Texas area; Howard Goode provides company owners and individuals reliable benefits at an affordable cost. Available plans include Group Health, Group Dental and Intensive Care. Service offerings include Billing Problems Resolution, Claims Problem Resolutions and Annual Reviews. 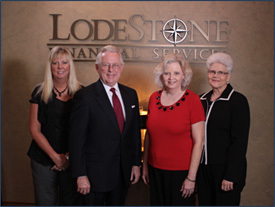 With over 34 years in the insurance industry, Howard Goode is a graduate of Texas A & I University. He is a Chartered Life Underwriter, Chartered Financial Consultant, Chartered Benefit Consultant, Small Group Specialist, Registered Health Underwriter, Chartered Health Care Consultant and a Licensed Life & Health Insurance Counselor. Bendra Brown is a licensed agent having joined Howard Goode in 1987. She has a background in most areas of the organization. She is currently office manager and bookkeeper for the business and also assists in the area of life insurance. Melvia Wyche, a licensed agent, has been with Howard Goode since 1991. Her responsibilities include: quoting, processing, claims and servicing small group health insurance business.